Deciding what to make for dinner is the hardest part, so we've done it for you! 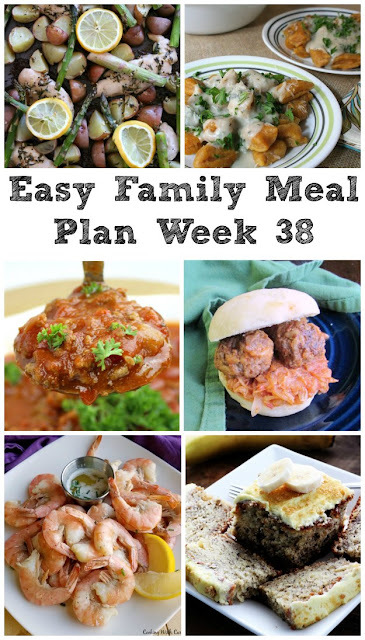 With 5 great dinner recipes and a fun dessert the worst part is over! Oh my goodness everyone! What a fun week we had, right? I am still swirling in all of the apple goodness from #AppleWeek! Did you find some new favorite recipes? I already have heard of at least two people making the apple pie steel cut oatmeal at least two times each already! It's worth doing just for how good it smells. Plus I know at least one friend has made a bread recipe and the dust hasn't even settled yet. I know my to make list is about 15 miles long now and I can't wait to eat my way through it! We celebrated MiMi's birthday last night and had a blast. Pops grilled some delicious chickens and I whipped up a fun dessert I'll be sharing with you in a couple of weeks. The boys have been busy working on the playset and I've been busy catching up on the odds and ends after the crazy week. Now it's time to get to business and see what we'll be eating this week! 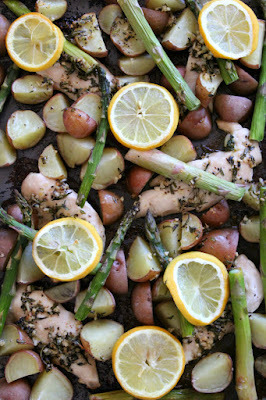 We'll get started with some lemon rosemary sheet pan chicken and veggies from Mildly Meandering. I'll admit I was a late adopter to the sheet pan supper revolution but am a big believer now! 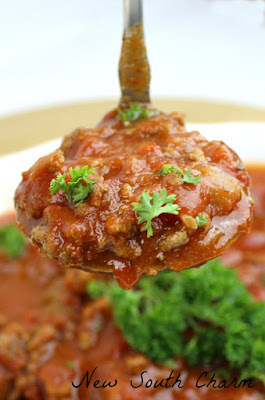 Next up is some slow cooker marinara sauce from New South Charm. It just so happens that we love all things pasta and the slow cooker is our weeknight friend, so I am looking forward to this! 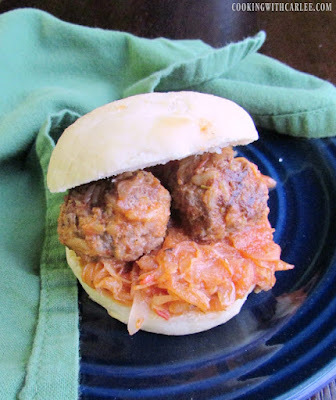 These porcupine meatballs have a secret in their sauce. I will let you in on the secret as long as you promise not to tell my husband! 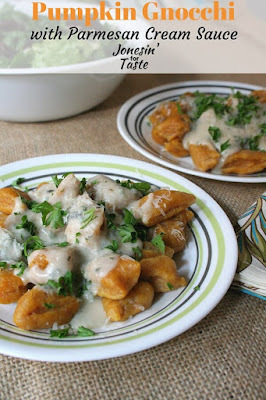 Next up we'll take a flavor filled trip to fall-town with this pumpkin gnocchi with Parmesan cream sauce from Jonesin' for Taste. Mmmmm! 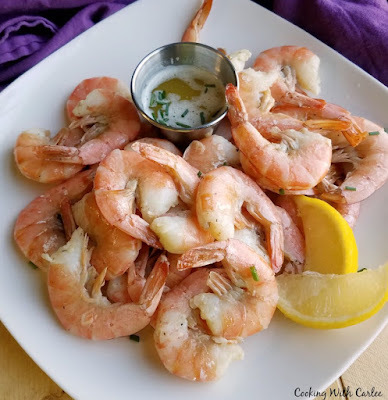 Lastly we'll take a trip to the islands with some key lime roasted shrimp. Do yourself a favor and make the key lime butter to dip them in. Holy moly! 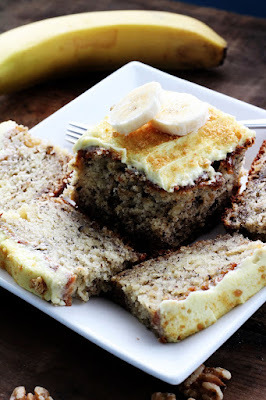 Then to celebrate another weekend we will make some banana cream cake from Recipe Treasures. This will be perfect because I happen to have some ripe bananas that will need to be used! Can't wait to try the sheet pan supper! That shrimp dish is divine! More great recipes! 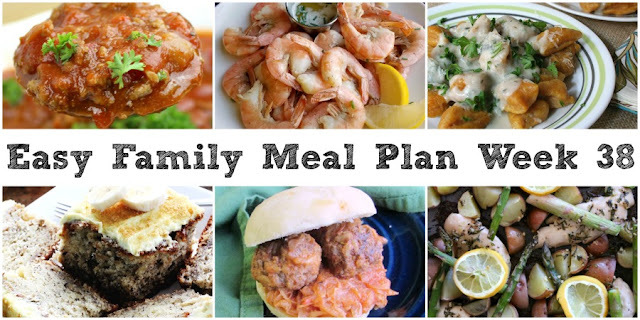 I am in love with sheet pan suppers, so that one has my attention too!